Fundala has been selected as the associate consultant for business development of KITCO for GCC. 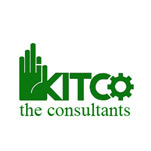 KITCO Limited (formerly Kerala Industrial and Technical Consultancy Organisation Ltd.), established in 1972, is one of the premier Engineering, Management & Project consultancy firms in India today. Some of the other fields where KITCO is a prominent player are Energy Studies, Skill Certification and Placement Services. The Company is also a dedicated provider of professional technical consultancy services to Small and Medium Enterprise (SME) sector.